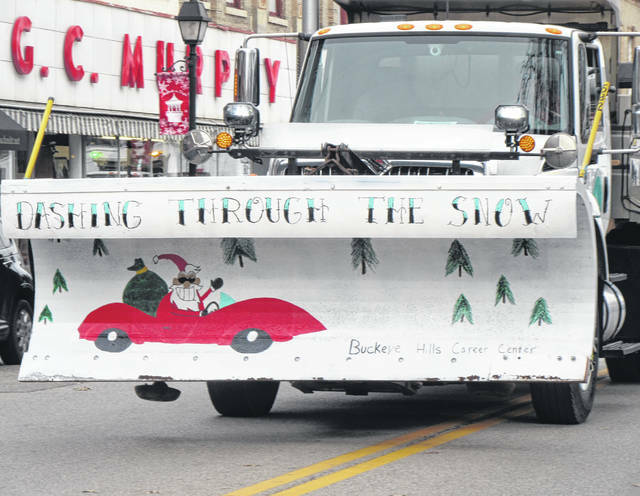 The painted snow plows were on display during the parade, including this one from Buckeye Hills Career Center. 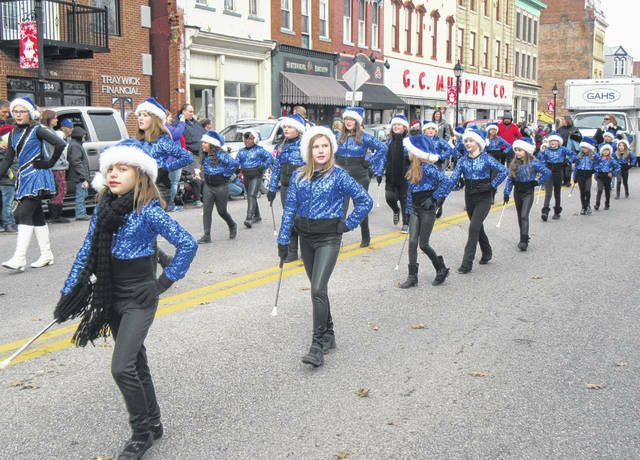 GC Starz took part in the parade on Saturday. 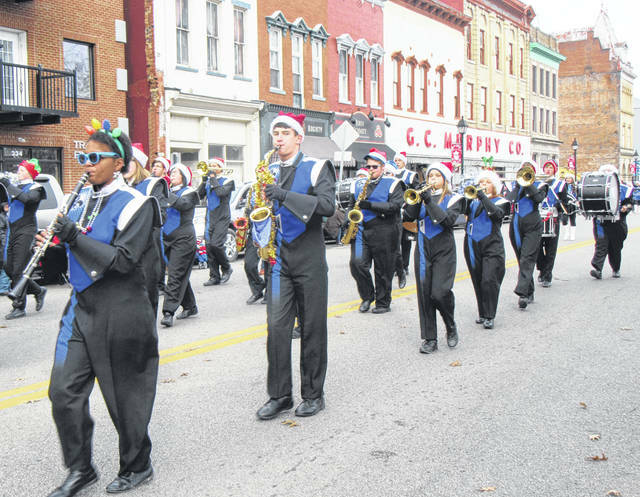 The Gallia Academy Marching Band performed as part of the annual Gallipolis Christmas Parade. 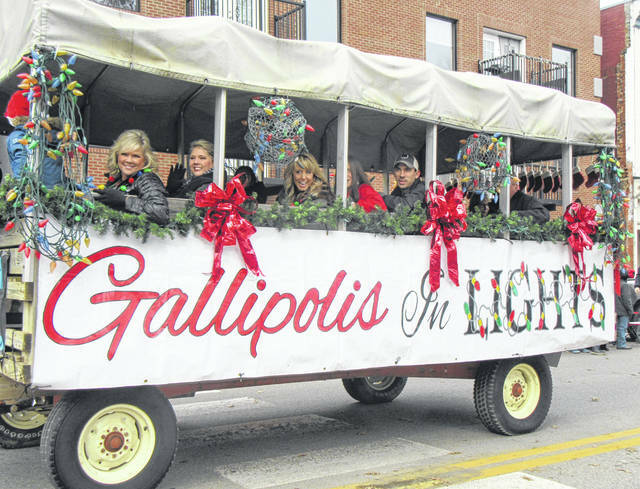 The Gallipolis in Lights wagon carried organizers along the parade route. 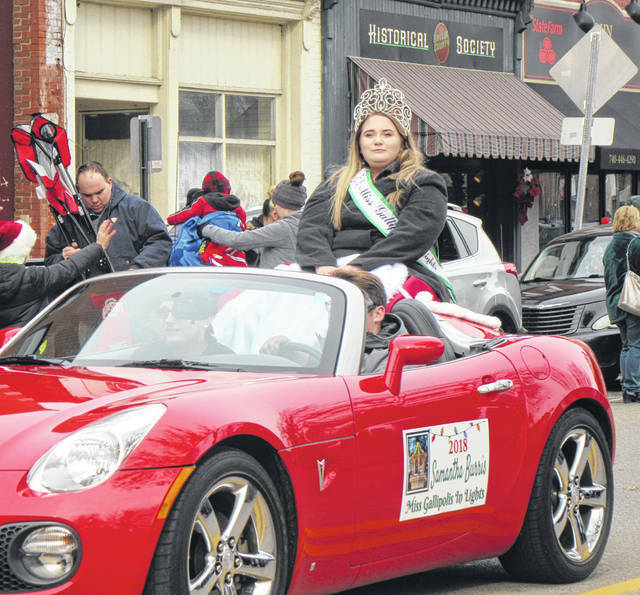 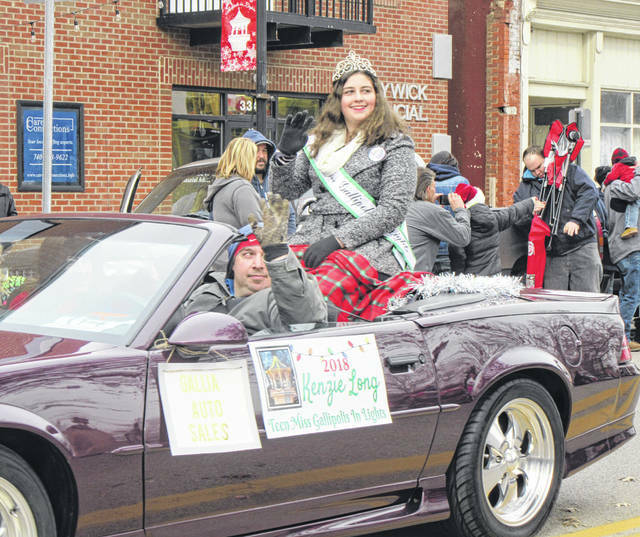 Representatives for the Night to Shine event to take place in February were part of the parade on Saturday. 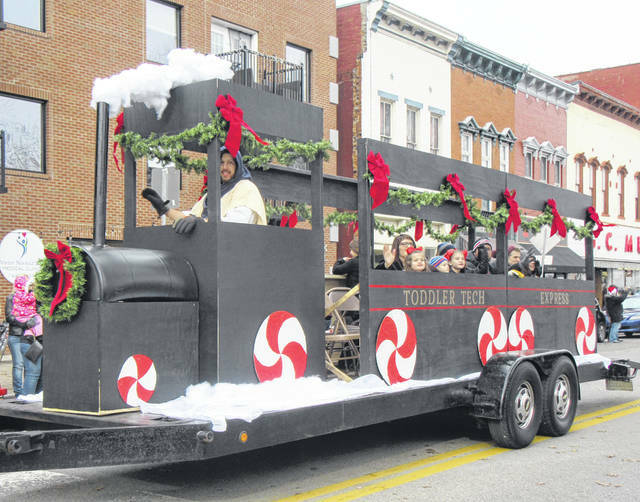 The Toddler Tech Express made its way down Second Avenue for the parade on Saturday. 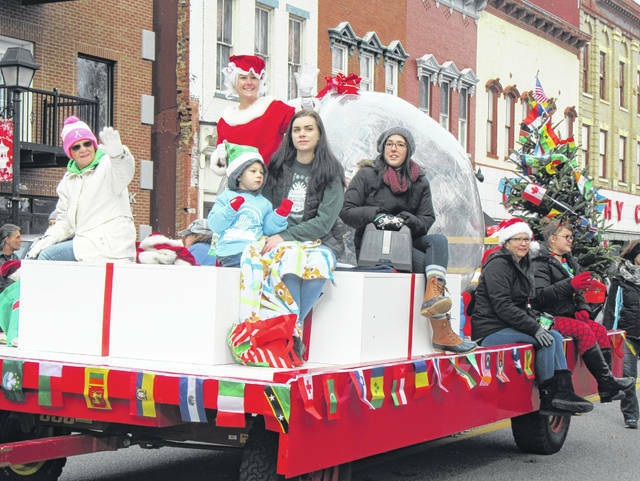 Representatives from Holzer Health System were among those in the parade on Saturday. 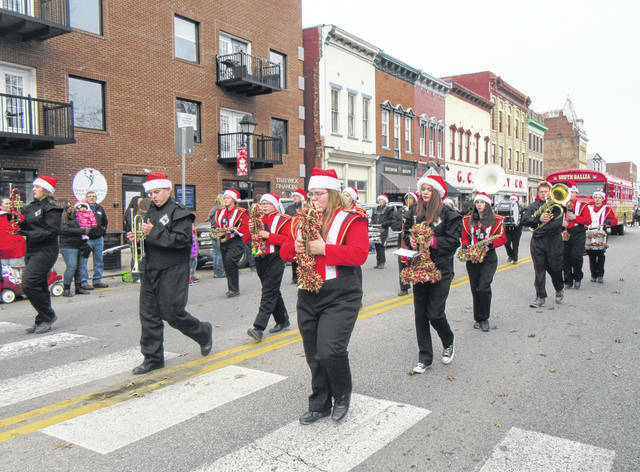 The Gallipolis Twirling Angel marched in the Gallipolis Christmas Parade. 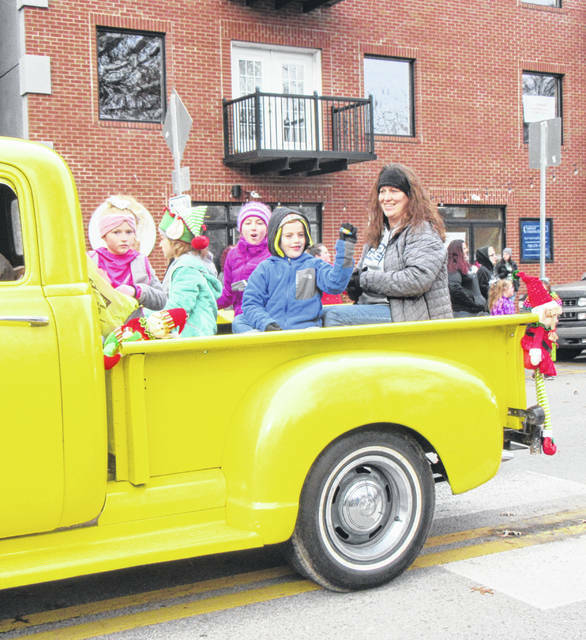 The River Valley Cheerleaders were part of the parade on Saturday. 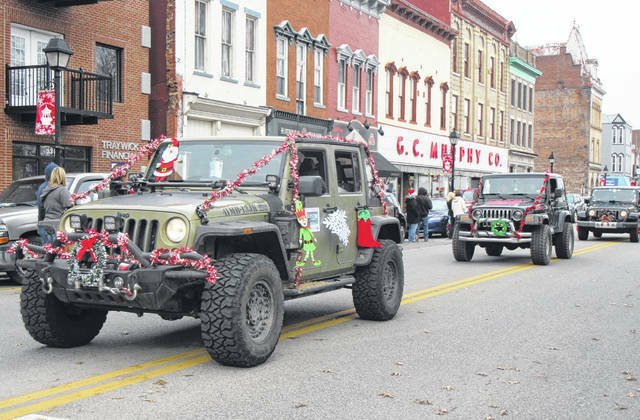 The Ohio River Jeepers had several decorated Jeeps in the parade. 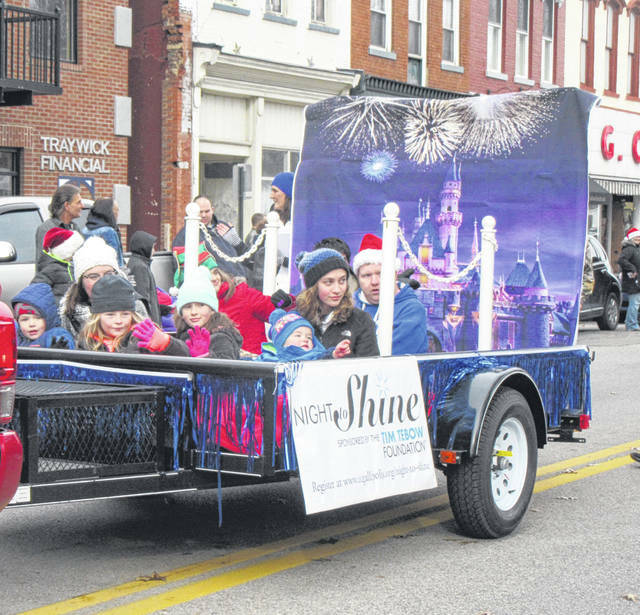 Several children throw candy to those along the parade route. 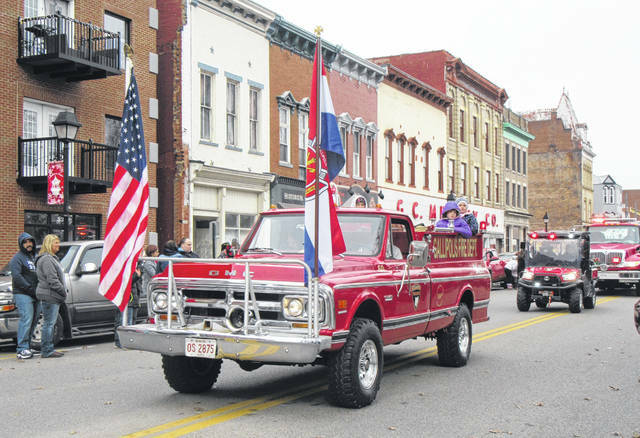 The Gallipolis Fire Department was among several to take part in the annual parade. 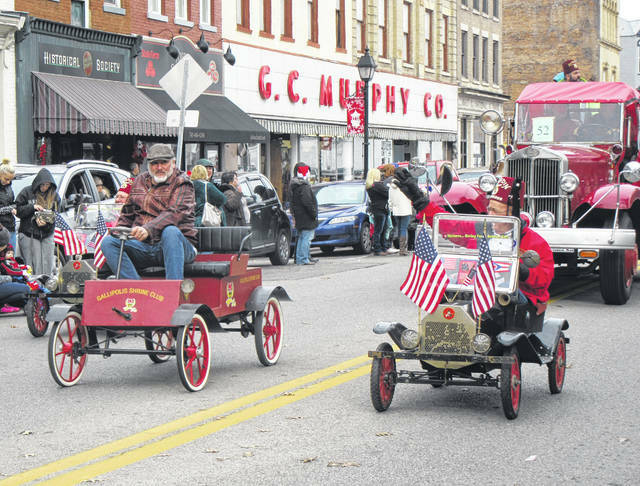 The Gallipolis Shrine Club rode their traditional little cars in the parade.